“I like to see a man proud of the place in which he lives. I like to see a man live so that his place will be proud of him." What puts Academy Fence above its competition is the pride we take in our work, staff and our home. Our tradition actually goes back even more than than 50 years. Walter and Elizabeth Lehmann – our grandparents – opened their shop in 1925 in Ridgewood, New York. The family’s fourth generation is currently hard at work creating innovative fencing and other products to beautify your home and garden. A job well done is our best spokesperson. 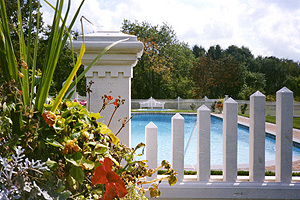 The lasting quality of your fence will enhance your property for years to come!